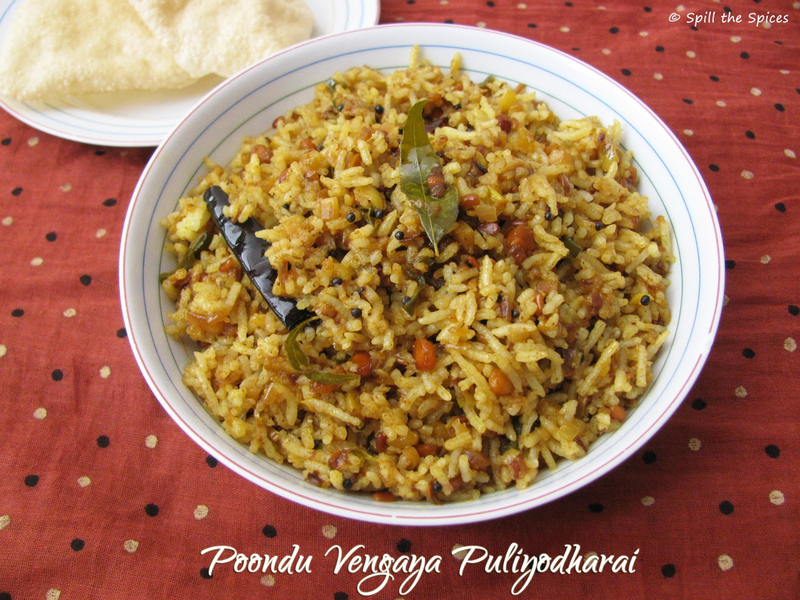 Puliyodharai is an aromatic, spicy and tangy dish usually made by mixing boiled rice with a pulikachal paste. The paste is prepared using tamarind, dals, spices and peanuts. When I saw this recipe in Radhika's space, I loved the addition of garlic and small onions - a twist to the usual puliyodharai. Small onions impart a sweet tang in between the hotness of the red chillies. 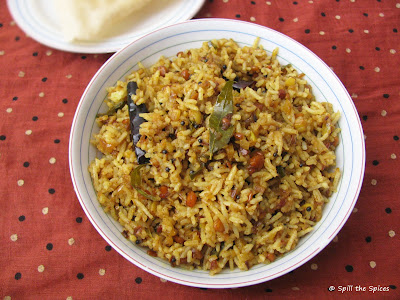 This one pot meal can be made quickly and is ideal for lunchbox. 1. Wash the rice well and cook it. Spread it on a plate and allow to cool. 2. Finely chop the onions, garlic and green chillies. 3. Soak tamarind in little hot water and extract thick pulp and set aside. 1. Heat gingelly oil and add mustard seeds. Once it splutters, add urad dal, channa dal and red chillies. Roast the dals until its turn golden in color. 2. Add the onions, garlic, green chillies, curry leaves, a pinch of salt and turmeric powder. Sauté till the onions turn bown around the edges. 3. Add tamarind extract, salt and hing and mix well. Cover and cook in low flame for 10 minutes. 4. After 10 minutes, the tamarind sauce will be thick and oil will be floating on top. Remove from heat. 5. Put rice on a plate and add the tamarind sauce/pulikachal and mix. I grew up eating plenty of the same type of rice but your version is unique and different. Would love to try out because I love all the flavors, what more garlicy and sour flavors. 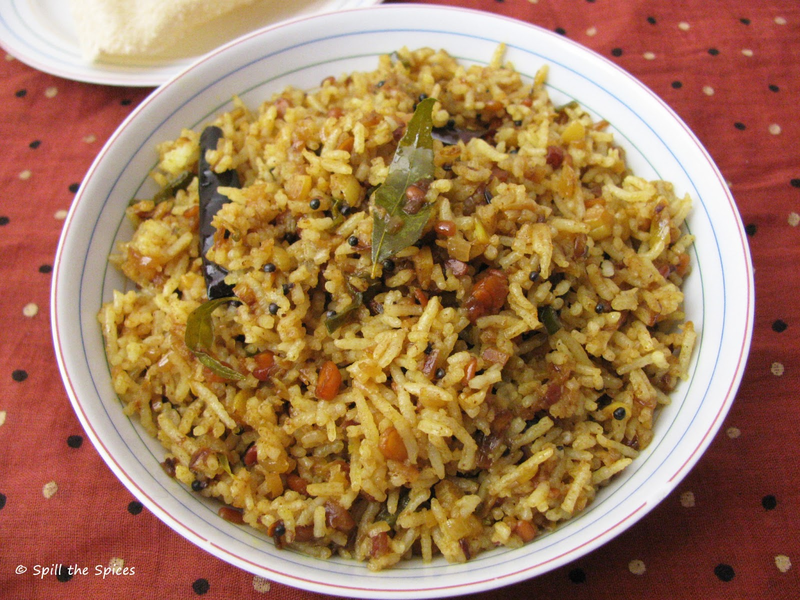 delicious rice with all earthy masalas. Tangy and delicious rice,nice recipe..
That's a yummy twist to the regular puliyotharai..